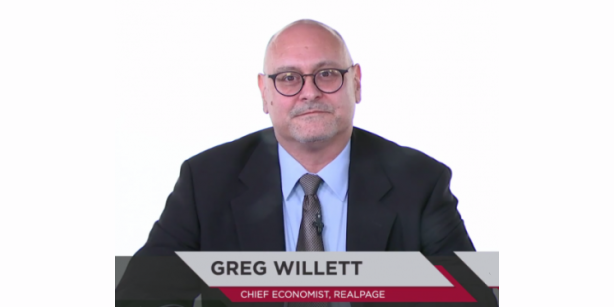 RealPage also found that despite 328,559 additional units of new construction nationwide, occupancy and rent growth remained at historical highs throughout 2016. By end of year 3026, occupancy reached a level of 96.3% nationally, up from 95.9% in 2015. This figure actually represented a slight cool down, as Q3 numbers for occupancy reached as high as 96.5%. 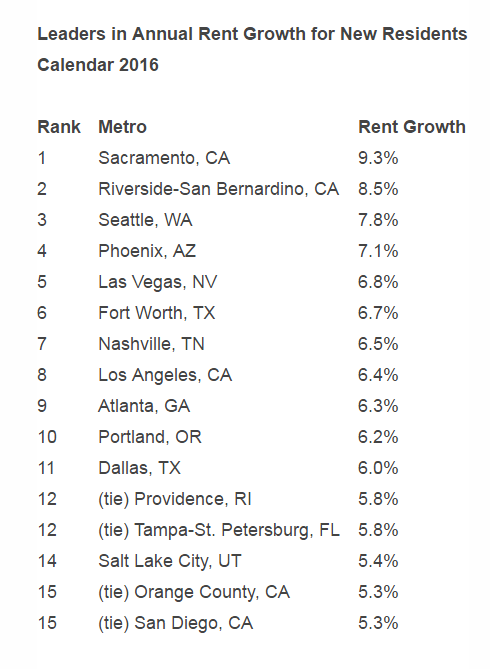 Averaging $1,248, rent growth saw a slight dip in late 2016. However, RealPage researchers were quick to point out the fundamental is still strong. “Rent growth doesn’t have to reach best-ever readings to be strong” Greg Willett explains, noting later “The 3.8 percent typical price increase posted in 2016 is still well above the long-term historical norm.” California was featured five times on RealPage’s list of the top 15 metro leaders in rent growth, with San Diego rounding out a 15th place tie with Orange County. RealPage concluded their analysis by suggesting 2017 could look very similar in construction numbers. Although ongoing apartment construction projects are scheduled to complete 364,730 units in 2017 (with some estimates as high as 26% increase of completions in 2016), expectations of all units being completed remained cautious. “It is important to realize [that] labor shortages and other factors consistently have held completions in this market cycle about 10 percent to 15 percent below the volumes scheduled” RealPage elaborated, “if that same pattern holds true moving ahead, 2017’s deliveries could line up almost exactly with the demand total posted over the past year, suggesting that concerns about market softening could be overblown.” As long as construction volume remains on schedule for 2017, RealPage admits that occupancy numbers may continues to decline, but will remain healthy and above average at 95% while annual rent could decline to a 3.2% national average.